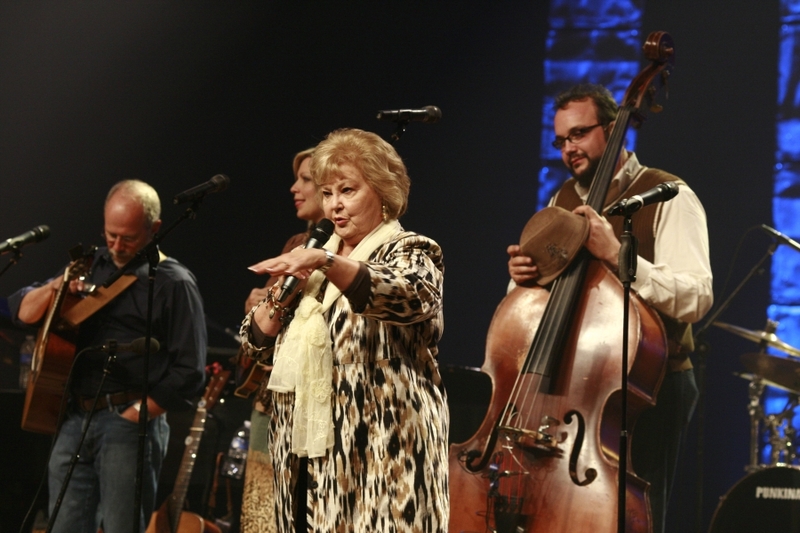 Gloria Gaither is a lyricist, educator and speaker. With her husband Bill, they have written some of the most enduring and beloved songs of our time including, “Because He Lives,” and “He Touched Me.” Gloria shares some of her early years and how she came to the point in life where she decided to spend as much time as possible nurturing her most important relationships and finding something eternal in the “daily-ness” of life. Please also enjoy a rebroadcast of our interview with Dr. Emerson Eggerichs about love and respect in marriage. 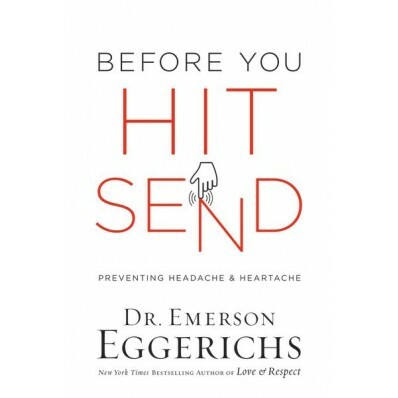 Dr. Eggerichs has also included a personal message to our listeners about his new book, “Before You Hit Send: Preventing Headache and Heartache,” which shows us how we can prevent misunderstanding and allow for understanding in our communication with others. Narrator: Welcome to the Jesus Calling Podcast. 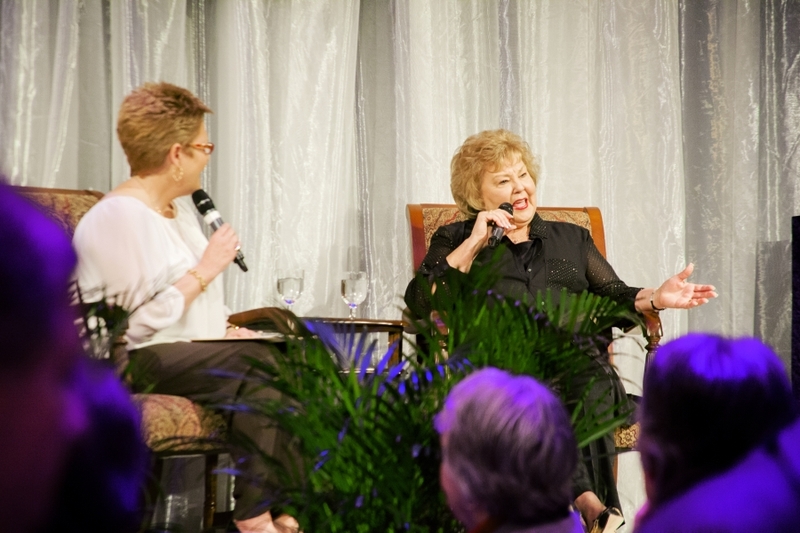 Today we speak with legendary songwriter Gloria Gaither, who with her husband Bill, has written some of the most enduring and beloved songs for the church including, “Because He Lives,” and “He Touched Me.” Gloria continues to write both lyrics and books and is an experienced and highly sought-after speaker who is constantly aware of the eternal value a moment holds. Gloria shares some of her early years and how she came to the point in life where she has decided to spend as much time as possible nurturing her most important relationships and finding something eternal in the daily-ness of life. Gloria Gaither: I’m Gloria Gaither, and I’m not sure exactly what labels I wear, but I am a lyricist, educator, speaker. Most of all I’m a follower of Jesus Christ, and wife to Bill Gaither, and mother to three incredible children, and seven grandchildren. I grew up in a pastor’s home. My parents were converted when I was a baby. So my whole life-because they began to follow Christ late in their lives, in their 30s-my childhood was full of excitement. Every night when they got together at the dinner table, they talked about what they had discovered in Scripture. My life was just full of evangelists, and missionaries, and pastors, and theologians, and people that came through our house. I guess my earliest desire was to have something to say at our dining room table. The discussions that went on around there, and thankfully my parents didn’t think children should be “seen and not heard.” They thought they should be heard if they had something to say. So I always wished I had a way to jump into those conversations. Our home was also filled with recovering alcoholics, and vagrant teenagers, and people who had no place to go. Although we were in a tiny little high school in a tiny little town in Michigan, we had no speech classes even; let alone any competition debate or forensics of any kind. Two different teachers began to enter me into speech contests and they personally took me to those competitions. They were usually oratory where I would write my own speech and deliver it, so that that was an experience. Early on I won the Michigan State speech contest. I think it was my sophomore year or junior year. I won the state of Michigan. I met President Eisenhower. I had my speech put in the congressional record and I was in the top 10 finalists in the nation. Which was really a hoot because I’d never stayed in a real hotel; I had never flown on an airplane. As it turned out, education and communication were my lifetime pursuits. I thought I might be the first Barbara Walters; there wasn’t one then. But as it turned out the calling in my life that I felt for the mission field, because of our dining room table, won out. I went to Anderson University, then Anderson College, and I thought I would prepare to be a missionary to Africa. I was intrigued the most I think, by the missionaries that came from Africa and the African continent. So I majored in French for the base for foreign languages, and I majored in sociology. Then I also told God, “Okay I gave You two, You won’t mind if I also major in English because that’s what I really love, and You can say no.” He didn’t, so I did. I had three majors, and I thought I would do something in some other country. It was the winter semester; it was so cold. But I did that and taught two French classes. While I was there a young English teacher who had been teaching in junior high wanted to transfer to the high school level and began the same day I did as head of the English department. His name was Bill Gaither. So my trip to Africa took an abrupt turn, and I never thought really about writing lyrics. I’d written poetry and all other kinds of writing. A lot of essay, and opinion, and that kind of thing. But I really didn’t think about being a lyricist until I met Bill, and that not until late in our relationship. But he finally got up the nerve to tell me that he had this other love, which was gospel music and played me a couple songs, and I said, “That’s pretty good.” After I said it was pretty good, he told me he wrote them. What I’ve learned as a writer is that I used to think that the more general you could write the more people that would allow you to identify with. Actually, I found exactly the opposite. What I’ve learned as a writer is: I used to think that the more general you could write the more people that would allow you to identify with. Actually, I found exactly the opposite. It is the specifics that people identify with. Everybody has held a newborn baby and wondered, “What will this kid face?” I mean, whether they’re in Europe or Scandinavia or where, everybody’s had that experience. Everybody’s walked with their children through passages where they had to start coming of age and you have to start letting go. We didn’t think that that would be for anybody but us. But what we found was that, everybody who holds a newborn baby—when has the world been stable? It’s never stable; it wasn’t stable when Jesus was born. We don’t base our lives on the stability of the world, the secular world. We base our lives on the stability of knowing that because Christ lives, the resurrection is not only true for that one-time shot in history, it is true in everything in nature. It’s true in everything around us. Life wins. Life wins. So when we wrote that, we found of all the songs that we thought were so personal, it has been the most universal. Education is one of my passions, and one of the things at this stage in my life, is we do a weekend here on our campus for songwriters. We can only take about 65, so it’s very intimate. I bring in four outstanding professional songwriters from different genres. Each person who comes to that gets three hours with each of those professionals, plus two evening sessions and a worship at the end of the weekend. That is just to kind of nurture along serious, new, young songwriters. I think one of the things that is really troubling me right now is that songwriting; the quality has gotten so low. I think we think if we get a guitar for Christmas that makes us a songwriter. Songwriting is a discipline and it starts with great poetry, reading, and understanding great literature that feeds you into a high water mark–a level that you have to live up to if you’re going to call yourself a writer. Everything in our lives is to say something to us that is eternal. I just started a blog and because so many great songs, and whether it’s a musical, whether it’s a concert evening, whether it’s a Homecoming taping, it all starts with an idea. I think at this stage of my life, I’ve kind of come full circle and I want to do a blog; I’ll do it randomly. It won’t be like everyday or every other day. Some of those great ideas I think also work in what used to be called an essay, or some kind of a commentary on just ordinary things. Great things come out of ordinary things, great moments come out of ordinary moments. It is our ability to recognize it. If your baby woke up healthy this morning, cooing and laughing and eating his oatmeal. That’s a miracle. Try a baby that can’t do any of those things. I mean every single thing is a miracle and if it is a child who has special needs. I have never seen a Down’s Syndrome child that doesn’t know something we don’t know. They are so loving and forgiving and they’re connected in a spiritual way sometimes that people who think they’re smart just are not. They’re not connected like that. Everything in our lives is to say something to us that is eternal. Narrator: Gloria is committed to helping people see the beauty in the ordinary and to get the most out of their days. She herself starts each day with Jesus Calling by Sarah Young. Gloria: Actually Sarah sent me a copy of that years ago when she was just trying to get it out. Nobody knew it from Adam, and it was on my counter right here in my kitchen, where I am right now. It’s such a joy to see, all these years later, how God has blessed that little book. So many times the nitty-gritty, silly things of life get right in front of us. If we’ve learned anything from these two recent hurricanes, it’s how many people said, “Okay that’s just stuff. I can replace the stuff, but I can’t replace my children. I can’t replace my mother, I can’t replace my husband.” You know, it makes you get your priorities reshuffled to, “Okay, what matters– what really matters?” Now as we forget about the hurricane, and we get everything all cleaned up, and we get our houses all shiny again, then we’ll tend to think that we’re in charge. And that every little thing–every water softener that breaks and every tennis shoe that we don’t get to have the new, best whatever design–is life or death. But I hope, at least for a little while, we will remember that it’s not. It’s not life or death. What’s life or death is, we have this moment to hold in our hands, and to touch as it slips through our fingers like sand. Yesterday’s gone. Tomorrow may never come. But we have this moment today. 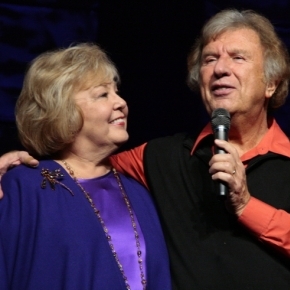 Narrator: To enjoy insight, inspiration, and encouragement from Gloria Gaither’s new blog, please visit Gaither.com. 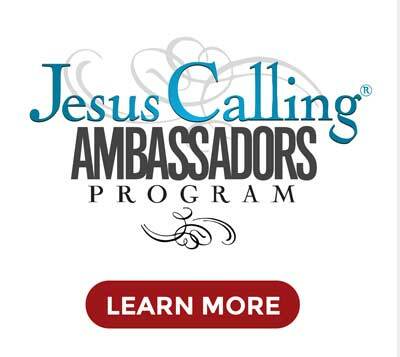 As a special offering to you, the listeners of The Jesus Calling Podcast, Audible is offering a free audiobook download with a free 30-day trial to give you the opportunity to check out their service. Find your favorite Sarah Young titles, including Jesus Calling and Jesus Always, in an audiobook version and get it for free by trying audible.com. 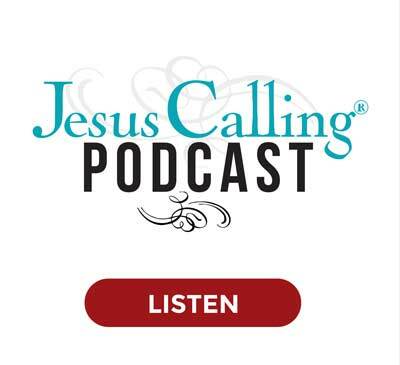 Check out a small sample of the Jesus Calling audiobook, featured at the end of this podcast. To download an entire free audiobook today, go to audibletrial.com/JesusCalling. Again, that’s audibletrial.com/JesusCalling for your full, free audiobook. Now, on to the second half of our show. 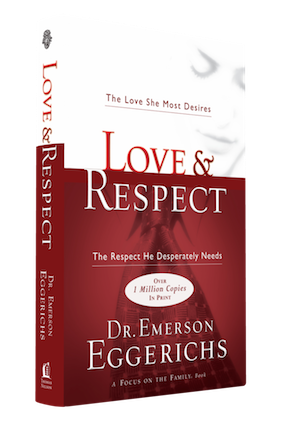 Narrator: Our next guest, Dr. Emerson Eggerichs, is the writer of the popular bestseller, “Love & Respect”. He and his wife, Sarah, have led Love & Respect conferences all over the world. He has a new book called, “Before You Hit Send: Preventing Headache and Heartache,” that shows us how, in this world of instant communication, we can prevent misunderstanding and allow for understanding. Dr. Eggerichs has a special message about the book just for our Jesus Calling audience. After that, please enjoy a rebroadcast of Dr. Eggerichs’ podcast from 2016. Emerson: Greetings to the Jesus Calling podcast listeners. What a joy for me to again be part of this great broadcast and podcast. We’re grateful for your focus on listening to the voice of Christ. I mean Jesus said, “My sheep hear My voice,” and it’s a joy to know that so many of you have that tender intimate relationship with Him. Before we talked about love and respect in marriage and kind of set the stage for how love and respect, based on Ephesians 5:33 is true in some ways to be applied to husbands and wives. We’ve said that when a wife feels unloved she tends to react in a way that feels disrespectful to her husband. That’s not her intent. And when he feels disrespected he tends to react in a way he doesn’t love her and they spin on what I call the crazy cycle. Neither are intending that but that’s what happens. That’s kind of the felt need–though we all need love and respect equally there is a tendency for him to filter it through the respect period; 83% of the men say they feel disrespected during a conflict whereas 72% of the women say they feel unloved. So the felt need tends to play itself out based on Ephesians 5:33. I’ve written a new book: Before You Hit Send, meaning we need to think before we speak. Certainly, Sarah and I have been married since 1973 and we still crossover and say things we ought not to say. But the challenge for us particularly in this digital age where a digital footprint is being left everywhere we are. We may have children, loved ones. I’m burdened about this message, “Before You Hit Send,” which is the name of the book “Preventing Headaches and Heartaches,” that this would get in the hands of people who need to be thinking. Jesus said every careless word we’re going to give an account for. We really speak before an audience of one and you who participate in this podcast you understand that you’re seeking to listen to Christ, you’re conscious of Christ, you’re doing what you do under Christ. And I added: Is it clear? Is it true, kind, necessary? Those three were attributed to Socrates. But we see this reflected in Scripture the first two speak the truth in love. There it is: Be kind, be loving, and be truthful. Truth without love is cruel. Love without truth is you know syrupy superficial sentimentality; it gives people license to kind of do whatever they want. What a beautiful set of checklists you know is that which I’m about to say to my spouse really true. Is it kind, is it necessary, and is it clear? And if it’s not why, and is it worth crossing the line. So for me writing it out and being sure I know what I mean. I remember saying, “I know what I mean I just can’t say it.” And someone said, “if you can’t say it, you don’t know what you mean.” So true. So I try to write out everything. Particularly I’m upset about something, I wait, I write it out, and then I realize: That was sarcastic, that was unnecessary, that expresses anger; they’re going to misunderstand this. I’ll have Sarah read it, particularly if it’s an emotional issue. Is It Kind? Is It Necessary? Some of us are hitting send, and then we end up in sin, prior to thinking. And again this isn’t rocket science. We know this; we learned this when we were four-years-old, we learned this in kindergarten. So it raises the question, “why are we not operating according to this checklist? Is that which I’m about to say both digitally, as well as interpersonally, as well as over the phone. You know this is what I call voice-to-voice, face-to-face, text-to-text. And, why is it that I don’t say to myself, “hey is this is this the truth, the whole truth, and nothing but the truth? Is this really kind, I mean, is it really going to sound loving and respectful? Is it necessary? I mean is it necessary at this time? Is it necessary at all? And is it clear?” I mean is it clear to me? If it’s not clear to me, it’s not going to be clear to the other person for sure. Why is it that we don’t do that? Well in part I believe it’s because we’re upset at the moment, we’re feeling hurt, we’re offended. And I then lay out in this book things that we need to be aware of that cause us to cross the line. And this is happening with people of goodwill. You don’t have to be wicked evil person to make a misleading statement, to be rude, to say what isn’t necessary, and to be confusing. We can all error in those areas. So what contributes to us crossing the line? Because here’s the deal, there’s no backspace, there’s no delete on digital information. World Wide Web means worldwide, and social media means it’s social, and you really can’t take it back. But we also as I said, have to give an account to the Lord; particularly as this relates to marriage. What a beautiful set of checklists, “Is that which I’m about to say to my spouse really true? Is it kind? Is it necessary? And is it clear?” And if it’s not why? And is it worth crossing the line? I make the case in the book that it’s never, never worth compromising any one of these. We also invested major dollars in research, and all four of these are distinct. In other words, are like four legs to a table. Remove one one leg and the table collapses. They are distinct. There’s not a crossover. True is different than kind; kind is different than necessary; necessary is different than clear. You have to have all four in place do three of the four and there’s going to be a breakdown of communication. There’s going to be a ruptured relationship. Well, I hope this inspires you. And we do pray that the Lord gets this message to this culture because we can see the political front all the things that are going on, and the damage that is happening as a result of people saying things that would have been left better unsaid. You know that little thing in the back of your brain? Well, it’s there in this checklist of four enables us to operate with wisdom. Narrator: To find out more about Dr. Eggerich’s new book, “Before You Hit Send: Preventing Headache and Heartache,” please visit LoveandRespect.com. Now, enjoy a rebroadcast of Dr. Eggerichs’ message from last year. Emerson Eggerichs: The word that I have, then, for every believer is: Your marriage may not be what you want it to be, and it may never be what you had hoped it to be. But that doesn’t mean that what you’re doing in that marriage is a waste. In fact, you, because of the difficulties, can do marriage even better than you would have done it had you been in a perfect marriage. 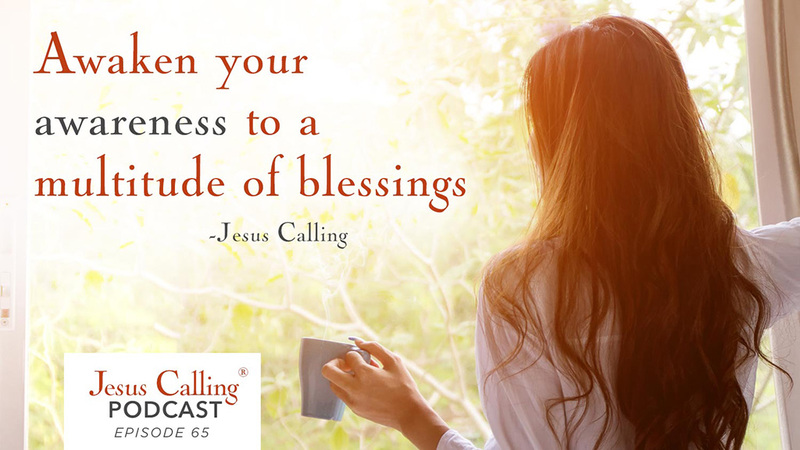 Narrator: Welcome to the Experience Jesus Calling Podcast. 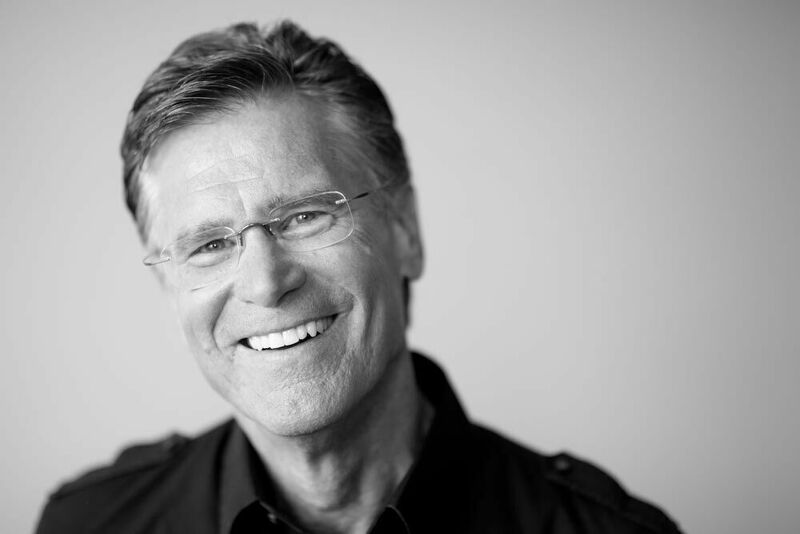 Dr. Emerson Eggerichs is an internationally known public speaker on the topic of male-female relationships. 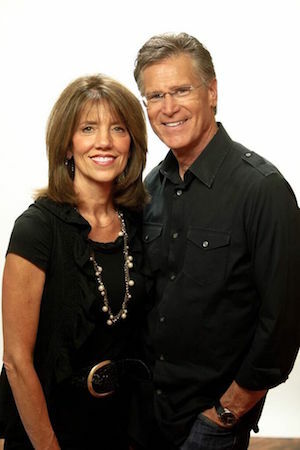 Dr. Eggerichs and his wife Sarah developed the Love and Respect Conference which they present to live audiences around the country. Emerson: My name is Emerson Eggerichs, and my wife, Sarah, and I have been doing the Love & Respect marriage conferences since 1999. Also wrote a book called Love & Respect for the married, and we have been on a wonderful journey serving couples across the country and around the world, and very grateful for the privilege of doing this. I was born in Peoria, Illinois. Grew up there until age thirteen, at which time my mom felt that I needed to be sent to a military school. So from age thirteen to eighteen, I attended Missouri Military Academy, and the backstory on that is that my mom and dad divorced each other when I was one. They remarried each other a year or two later, realizing that divorce was not the remedy. But then they separated for five or six years, and then came back together when I was in the third grade. The issues that they had obviously spilled over and affected me, and I think that was one of the reasons that mom felt I needed to go to military school, because she could see a collision coming with my dad. We were not Christ-followers; we, you know, would go to church every so often. Easter kind of thing, maybe, and Christmas. It wasn’t until I was sixteen at Missouri Military Academy that some leader at a local church gave tickets to cadets to go see a movie called For Pete’s Sake, which was put out by Billy Graham. And there I heard the message that God loved me, that Christ died for me, that I was a sinner in need of forgiveness, and that I could receive that but I needed to receive Christ into my life, that he would come into me and the invitation was given. And at age sixteen my eyes were opened to understand who Christ was, his death on the cross, and the significance of that, and I personally invited him into my life. Because I came to Christ through Billy Graham, I made inquiry as to where he went to college and found out that he went to a Christian school called Wheaton College in Chicago area. I didn’t even know that there were Christian colleges. So I applied and was accepted and sat in Bible classes that freshman year, taking it all in. My mom was watching me, my dad was watching, my sister was aware of things going on in my life, and my brother-in-law, who’s a professor. In my freshman year, my whole family received Christ. My mom came to Christ first, and then my sister, and then my dad, and then my brother-in-law. So you combine the marital difficulties of Mom and Dad with my own curiosity, and I think much of that blended together with a real interest in not only knowing what the research points out—I eventually [got a] Ph.D. in Family-Related Studies—so there was a fascination with research, but also the privilege of studying Scripture. I began to look at what the Bible said about male and female. Jesus said we were created male and female, and, for instance, 1 Peter 3, the husband is to live with his wife in an understanding way. Since she is a woman, precisely because of her femininity, God calls the husband to conduct himself in a certain way. And so I began to unpack all the Scriptures dealing with men and women, which became extremely fascinating, and really is the text in the book Love & Respect. There is this challenge before us to, you know, make sense out of our past. Certainly I can see that the Love & Respect book came out of that. And I allowed those past events to affect me, but to try to make sense out of them in order to serve people. One of the reasons that I wrote the Love & Respect book is that I saw something in Scripture that really was being ignored on the marital radar screen; it had apparently been removed. You know, we had a period there—thirty, forty years, several decades—where the focus was on loving the wife: “Happy wife, happy life.” You know, things can become imbalanced, like on a teeter-totter, it can be anything but balanced, it’s lopsided. And I think there were years that women felt that they were not being understood, that they were not being loved. I think what happened is that spilled over into the church, that basically men were jerks, men were idiots, men didn’t get it, men were unloving. And in the process, the message was men are inadequate, and we don’t respect them. And that message, men are inadequate, and we don’t respect them, hits at the core of who men are. 1 Corinthians 7:28 says, ‘If you marry, you’ve not sinned, but you will have trouble.’” …that verse needs to be put on every refrigerator. So here you have this discovery in Scripture as well as in the social research that I thought, you know what? We’ve removed this totally, so what we sought to do was put that back on the marital radar screen and in the process try to avoid all the land mines that accompany that message. And so one of the challenges for us is to redefine what love is, and biblically, and not just culturally. we have just huge misunderstandings, and one of our roles is to help couples mutually understand each other, most conflicts are the result of honest differences of opinion, honest differences in preferences. And so neither are wrong; they’re just different. One of the things that women began to do is they applied this to their husband, with great impact. They said, “You know what, I’ve got sons. And I think this applies to sons.” And so they turned their attention to what I call respect talk toward their boys and were absolutely blown away, and they began to write me. 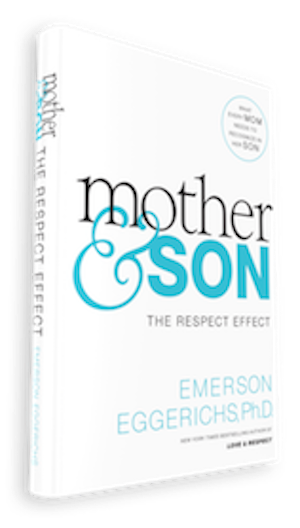 Hundreds and hundreds of women were telling me, and so this book Mother & Son that I just wrote, called The Respect Effect, is a compilation of these letters and also the biblical base for the teaching. It is my prayer that this book could serve mothers and parents well. I know many teachers have written me who applied respect in their classroom, and it has revolutionized the way in which the classroom is conducted, because typically boys are the reasons for the social difficulties in that classroom setting. As they applied the respect message, they were blown away. They listen, they stay connected, they don’t resist to the extent that they did when they are treated with disrespect. One of the things we try to say to people is that we’re on the crazy cycle—without love, she reacts without respect; without respect, I react without love, and we spin on this baby. We practice what we preach, and so we always try to be transparent, saying to people, “Look—you know, no one’s going to do this perfectly. First Corinthians 7:28 says, ‘If you marry, you’ve not sinned, but you will have trouble.’” And that verse needs to be put on every refrigerator. So here we have the, the challenge of being transparent, at the same time saying, “Look, these principles do work. You don’t have to stay in the crazy cycle that my mom and dad were on, and there is a way out of this. Sarah and I have been doing the conference, you know, since ninety-nine, and so, you know, we’re all believers in this message, and the difference that it can make in, in a person’s life. Narrator: Dr. Eggerichs’ wife Sarah is a great believer in intercessory prayer. They have both witnessed the power of prayer in their lives, and in the lives of those they love. Sarah endeavors to help others find strength and peace in God’s presence through prayer and sharing Jesus Calling. Emerson: Well, her spiritual gifts are serving, hospitality, and certainly is devoted to prayer. She has the section on the practical application that she helps couples in our conferences. For years we averaged about eighteen hundred at our conferences, and so she’s developed just a tremendous presentation the people really value. They’ll even come up to me and say, “Your presentation wasn’t bad, but Sarah hit it out of the ballpark.” So, you know, we definitely are grateful for what she is doing publicly and how she’s wording that. Jesus Calling, and the excitement, you know, is clearly there, and Sarah has given that as a gift. She has, there for a period she was every day with Jesus Calling. It is perhaps the number-one devotional she gives away, more than the devotional that I wrote. But, nonetheless, tremendously excited about this, and has been for years. In fact, that book came out the year Love & Respect came out, so, you know, it’s been a long journey on that. But people have appreciated that, and we’ve appreciated it. I know that some people have wondered, you know, “Well, you know, is, is this, Jesus speaking to Sarah Young, and is it something that, you know, is biblically accurate?” She would never have claimed that that’s the case. It’s really, the beauty of it is, all of us meditate on Scripture and seek the Lord’s application to our life. As I pastored for twenty years, exposited the Scripture, and all of us realize there’s a text in context, and a text out of context is a pretext, as we say, and there’s a place for rightly dividing the word of truth. 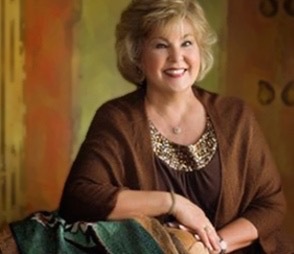 So then, I think Sarah Young just simply said, you know, “I’m going to kind of personalize that a little bit, to make myself accountable to what I sense the Lord was saying to me, And I, I say that because, you know, she’s never claimed that this was, you know, Jesus audibly speaking to her. We’ve applauded that approach, and I think everyone who reads it understands that, and has benefited from it. We’ve always received positive feedback from people who have gone through this. I, I don’t know of anybody that said it wasn’t meaningful. It’s short, it’s to the point, it’s got the scriptural references, it is a prayerful approach, it has been something that, you know, most say, you know, “The reading today simply was the perfect thing that I was going through.” I mean, we hear that kind of comment made. So everything that we’ve encountered has been positive. I mean, evangelicals who love Scripture, who are submitted to the authority of Scripture, and, um, you know, get the point that Sarah Young is making here. And she is seeking to bring the Scriptures, uh, in a very personal way. And we comment on the fact that, you know, we really don’t always do that in the church. We don’t bring that kind of application to the heart and to the Monday-through-Friday lifestyle. And, and what difference is this really gonna make to my heart and mind and soul? I think Sarah Young has done an excellent job in helping people bridge that. Where they may find difficulty in doing that, she has really brought that, I think, front and center. And it has been appreciated by many people. Emerson: You can do marriage God’s way even if your spouse isn’t responding to you. You can be a loving husband even if your wife isn’t respectful. You can be a respectful wife even if your husband isn’t loving. But it raised the question, “Why in the world would any of us want to do that?” Because the Christ-follower sees Christ standing beyond the shoulder of one’s spouse. That I ultimately love Sarah, not because I’m loving Sarah as an end in itself; I’m actually demonstrating my love for Christ as I love Sarah. And Sarah isn’t respecting me as an end in itself; she’s actually reverencing Christ, she’s seeing Jesus beyond my shoulder. And the believer needs to realize that. What’s beautiful, even if your spouse doesn’t respond, the Lord is going to reward us. Whatever good thing each one does, this he’ll receive back from the Lord. That nothing is wasted; everything matters, everything counts.